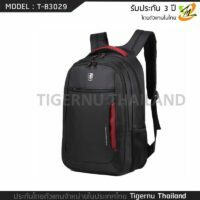 กระเป๋า NOMATIC Travel bag เป็นกระเป๋าที่รวบรวมสุดยอดฟังก์ชั่นหลากหลายที่เหล่านักเดินทางต้องการเข้าด้วยกันได้อย่างลงตัว ถูกออกแบบมาสำหรับการเดินทาง 3-7 วัน สามารถเป็นกระเป๋าเป้ Backpack หรือเปลี่ยนเป็นกระเป๋าทรง Duffle ก็ได้ในเสี้ยววินาที มาพร้อมวัสดุทนทานทุกสภาพอากาศ (Weather proof) และด้วยการออกแบบที่พิถีพิถัน ทำให้ทุกซอกทุกมุมของ Nomatic Travel Bag นั้น เป็นกระเป๋าเดินทาง ขนาด Carry-on ที่ครบเครื่อง ทั้งฟังก์ชั่น วัสดุ ความสวยงาม และเหมาะกับทุกการใช้งานได้อย่างลงตัวเป็นที่สุด! 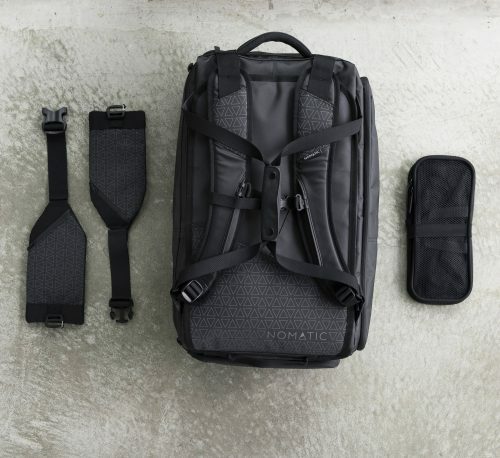 [expand title=”English Version“]The NOMATIC Travel bag was designed for a 3-7 day trip. 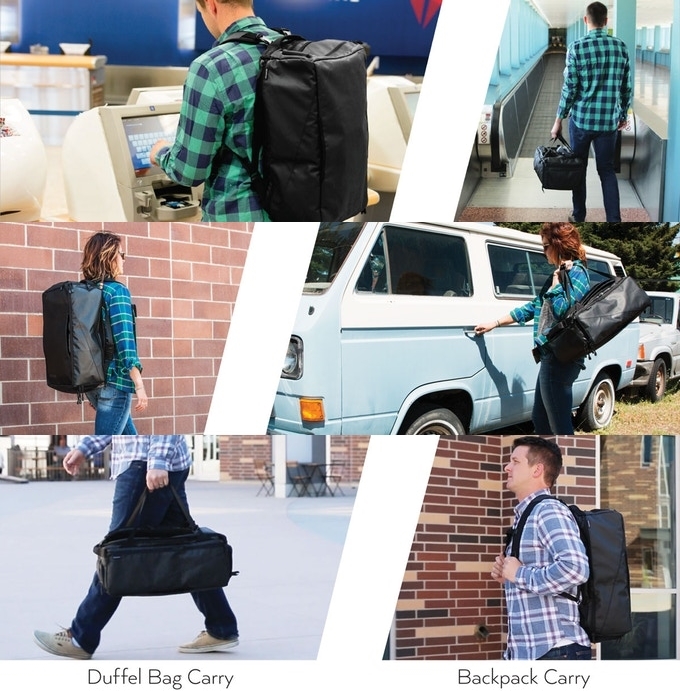 By combining the best features from a backpack, duffel bag and general luggage, we have created the ultimate travel bag to help you spend less time fussing with your luggage and more time enjoying your journey. 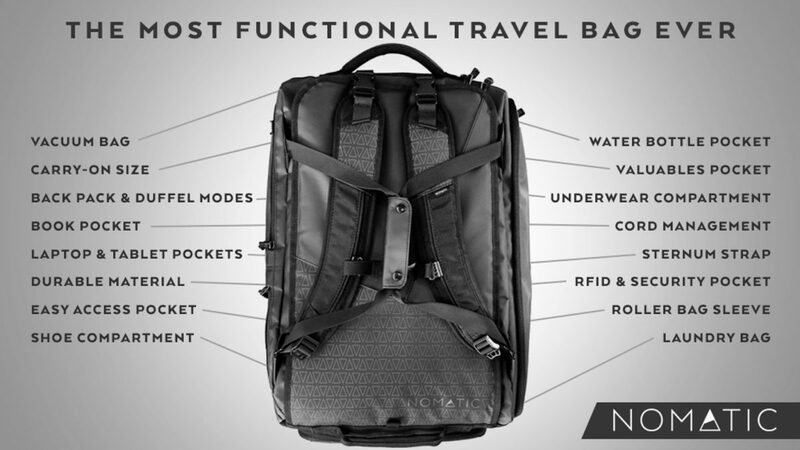 The NOMATIC Travel Bag has over 20 features that make it the most functional travel bag ever. 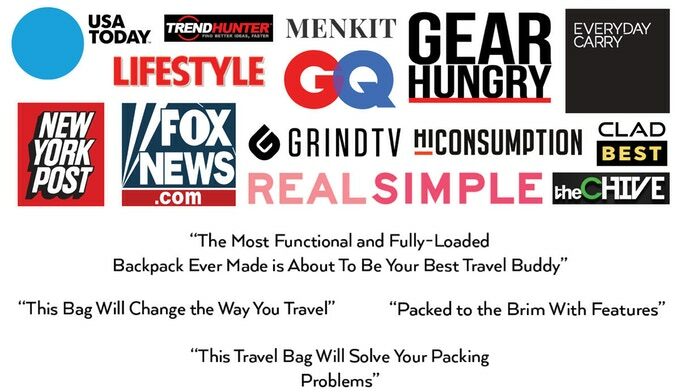 On top of being packed with incredible functionality, the bag has a sleek minimalist design, is made of strong weather-proof materials and is built to last. Strap System : Our Innovative strap system allows you to switch between backpack and duffel in seconds and have no dangling straps. 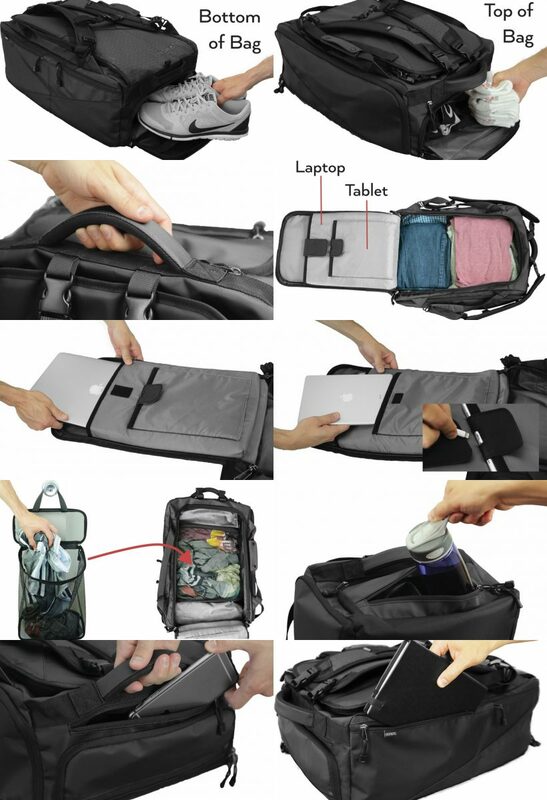 Vacuum Bag : The NOMATIC Vacuum Bag is included with every travel set and is both water proof and air tight. 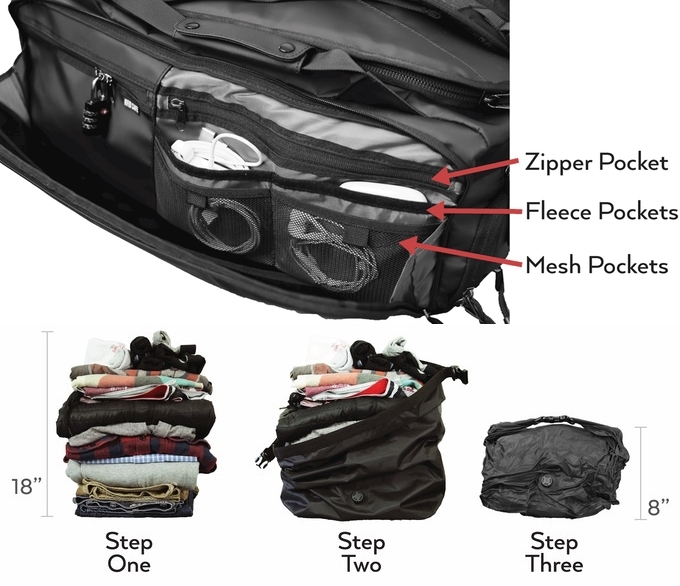 This added feature will help you pack all you need in half the space, leaving more room for other travel essentials. Laundry Bag : When closed, the laundry bag was designed to fit perfectly inside the door of the shoe compartment of your travel bag. When you arrive at your destination, the laundry bag expands and hangs on a door knob so you can easily toss dirty clothes in. Valuable Pocket : Keep your phone, sunglasses, and other valuables protected in this soft fleece-lined pocket on the top side of the bag. Cord Management : With this combination of mesh, fleece-lined, and zipper pockets, you can keep your cords, power banks, laptop chargers and any other odds and ends right where you need them. 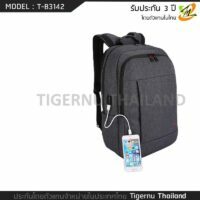 Easy Access Pocket : When the bag is worn in backpack mode, this pocket is easily accessible, making it the perfect place for frequently needed travel documents. Also, because it is positioned with the zipper close to your back it makes it more difficult for pickpockets to access this zipper undetected. 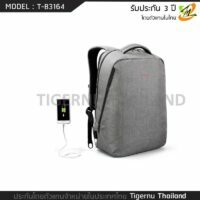 Comfy Handle : Carrying your luggage can become painful and heavy, so we added a very comfortable handle to make your interactions with the bag as enjoyable as possible. Sternum Strap : Last but not least we have added a sternum strap for added comfort and support.